crumbs, Salt, White pepper powder, Oregano, Italian sizzling, Chilly flakes and Mix it well. Divide into ten to twelve portions and shape them into round bolls. Make thin batter of water and corn flour. 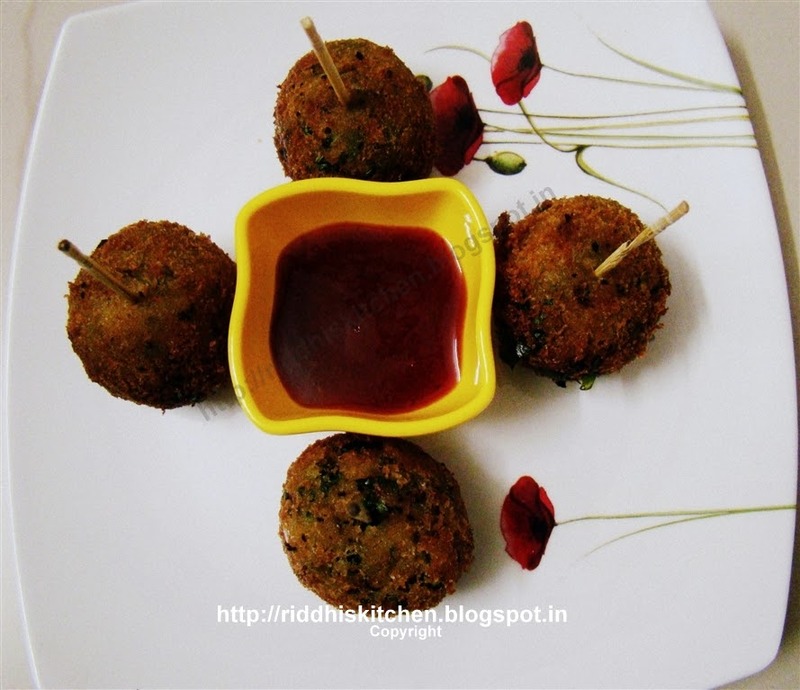 Deep Cheese bolls in batter, roll in the bread crumbs. Heat sufficient oil in a kadai, deep fry the rolls till golden brown and drain onto absorbent paper.